Have students perform Shoe Town. Download the script here. Have students outline both of their shoes on a piece of paper, cut them out, and decorate them. Tape shoes to the walls in the corridors like footprints walking. Create a real Shoe Town in class by having each student bring in a beanie baby and an old shoe. 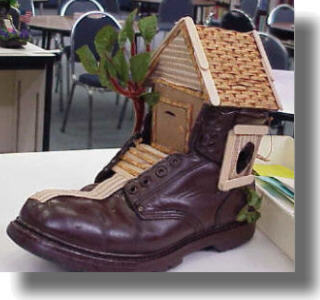 They can even decorate the shoes with a roof, chimney, and a border of grass using construction paper. 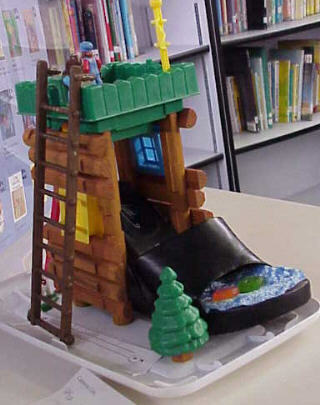 Have students recite the nursery rhyme, There Was Old Woman Who Lived in a Shoe. How is Shoe Town like the nursery rhyme? How is it different? 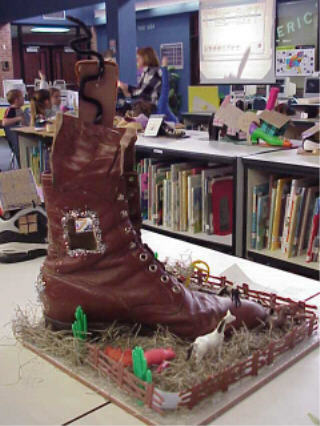 Have students identify the other characters in Shoe Town (like Tortoise and Hare, Little Red Hen, etc.) Connect these characters to their original fables, tales, or nursery rhymes and read them in class! Give students the question, "Did the little mouse ever get to fill a hot bath and take a long nap? Why or why not?"